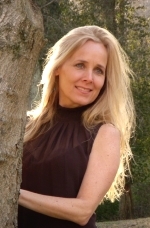 Singer-songwriter, Janey Clewer, is a classically trained singer and pianist with a passion for pop and jazz. In Los Angeles, she was a session singer for film, television and commercials. She has performed and recorded with the likes of Ray Charles, Sir Elton John, Luther Vandross, Julio Iglesias, Cher and Harry Connick Jr.
As a songwriter, artists such as Patti Labelle, Sarah Brightman and Olivia Newton-John have recorded her songs and in 2013, Janey penned 14 songs on the highly anticipated and critically acclaimed CD “LE SECRET” by Lara Fabian. As an artist, Janey has written and produced 11 CDs; 2 of which were released in 2012, LOVE and FALLEN FOR BRAZIL. She continues to perform at the prestigious Cotton Club in Tokyo, Japan where she will perform 6 shows in November of 2013. Additionally, Janey is the duet partner and choir director for the incomparable George Benson for his Nat King Cole Tribute Concerts, performing most recently at the Hollywood Bowl in Los Angeles, CA.